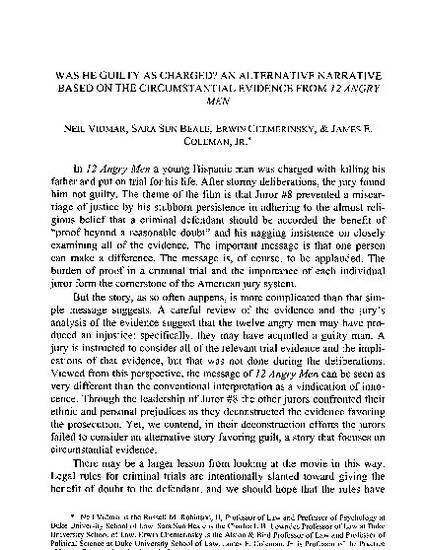 This essay argues that while 12 Angry Men is typically viewed as a vindication of innocence, careful consideration of the evidence suggests that the jury probably reached the wrong verdict: the circumstantial evidence pointed to guilt! The authors use this insight to discuss the potential impact of circumstantial versus direct evidence on real juries and perhaps the ways that cases are litigated. The essay suggests a number of questions requiring empirical research.